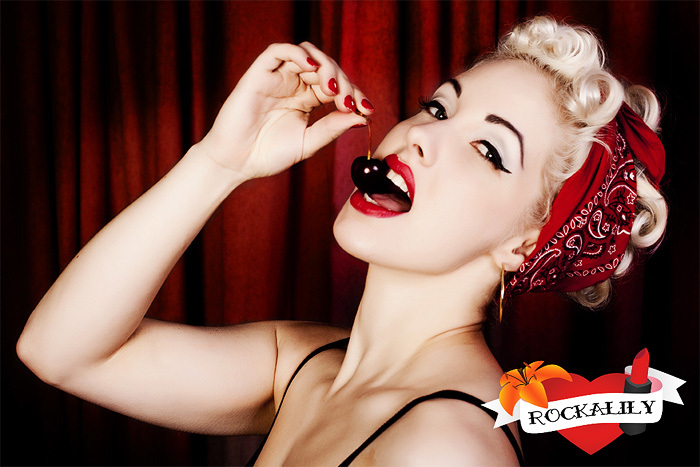 Rockalily lipstick, for a rockin’ red? ReeRee Rockette was tired of trying to find her perfect red lipstick. She was overwhelmed with lipstick choices, but disappointed with their colours. Some were too dry, some too dull, some yellowed her teeth whilst others bled beyond her lip line. ReeRee knew she wanted a blue-based red lipstick but beauty assistants never seemed able to help. ReeRee decided to start her own brand of lipsticks, where less really could be more. She wanted to create a range that could be worn every day and that were the right shade and quality of product. She wanted Rockalily Ladies to be able to quickly choose which shade would be right, and be confident that they wouldn’t be disappointed when they got them home. She settled on three red shades and one pink, creating a capsule range of perfect shades for anyone brave enough to apply! Hot Rod Red is an orange-based red designed for those with darker skin tones. And creamy and luxurious matte lipstick. Still a classically bright red. Roulette Red is a deeper shade of classic red. It is a creamy and luxurious matte lipstick. Again, perfect for paler skin tones, for a more sultry look. This again is a blue-based red, to enhance the whiteness of your teeth. Pompadour Pink is a semi-gloss lipstick in a bright fuchsia shade. A blue-based pink to flatter paler skins and teeth. The perfect pink! Rockette Red is a creamy and luxurious matte lipstick. It is my classic bright red, and is perfect for paler skins. It is a blue-based lipstick so it is also good for making your teeth look whiter. 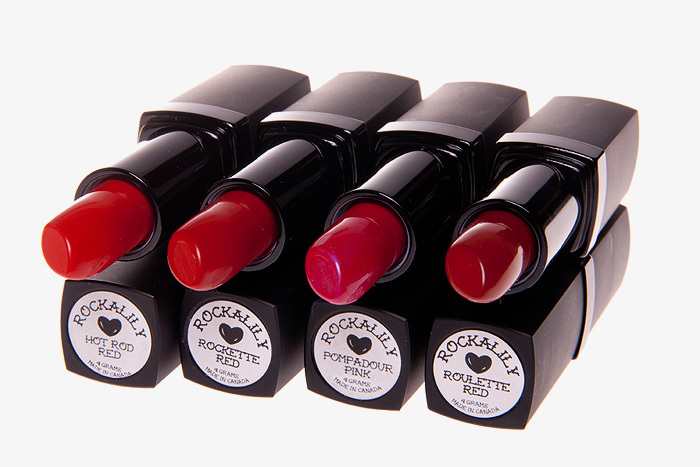 Rockalily Lipsticks available exclusively from www.rockalily.com and are priced at £14 each. I love that promo image! love these shades of red! i actually don’t like orange reds on me and prefer blue reds, so I’d definitely go for those. I don’t think that they favor pale tones more, but not many pale tones can wear the orange reds. The MUFE lipstick that I have is a blue red and it’s incredible. I want roulette red! I would buy Rockette Red since it sounds amazing, but the 14.00 price tag for me would end up being $27 usd.. so I guess I’ll stick with MAC Russian Red and Ruby Woo. where are you based? I have shipped Rockalily around the world succesfully! These look amazing, especially Pompadour Pink. A bit out of my budget of £00.00 though. Love blue-reds! Roulette Red, Pompadour Pink and Rockette Red sound fantastic! Only trouble is the price is far too high for me to buy blind, as it were, I’ll be waiting to see swatches of these. I know we have emailed now, apologies for the delay. You caught me in a ‘bad time’ – I had been quite ill and then we had a million bank holidays!